Download FireTube app for android. FireTube fixes the YouTube's lack of ability to play videos in background with screen switched off. It saves both battery and mobile data, since the video is not played, only the audio. This app makes your android device a perfect music player. Its interface is quite similar to YouTube's with the difference that when you select a video to play, you only see a still image of it while playing the audio. FireTube is awesome app to make all of YouTube's content in your personal music library. Available is the option to log in with Google account and access your playlists and favorite videos. What is FireTube? 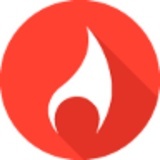 You can browse media content about FireTube on Pinterest, where great images are added every day. Watch how to install and use FireTube videos on YouTube. You can also look for FireTube app on Amazon Appstore.